With the holiday season now in full swing, the Food Bank of Northwest Louisiana has quite a few people to provide for this year. Fortunately, there are local individuals and companies that step up to help. 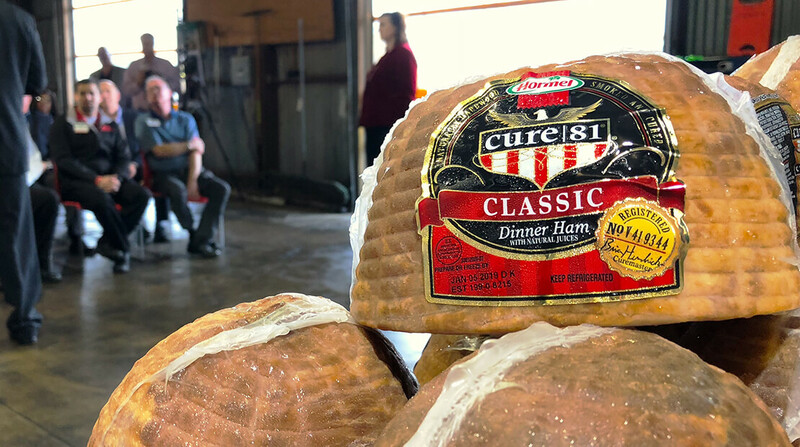 Today, Brookshire Grocery Company and Hormel Foods will be making a generous donation — over $150,000 worth of hams to help complete those Christmas meals. Brookshire Grocery Chairman and CEO Brad Brookshire and Hormel Foods Brand Manager Stephanie Postma will present the donation. It’s going on at 11 a.m. today at the Food Bank facility at 2307 Texas Avenue in Shreveport.